Compaction Plus offers a vast array of sizes and types of Stationary Compacting Units. We have Custom Built units as well as Standard Units to meet each Customers specific space, volume and feed system requirements. Dual Feed Thru Wall Application. Compaction Plus Inc, can design the right system with the right equipment for your specific needs. From simple to complex, we have the experience. Double Unit, With Full Enclosures. (Shown without receiving containers for better viewing of application.) 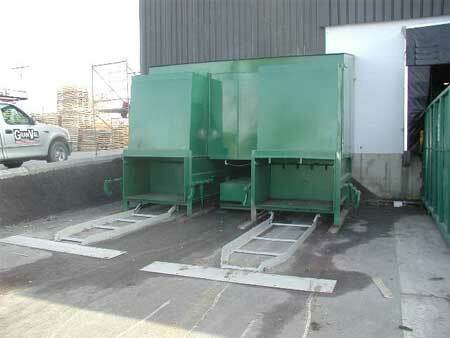 Two Side By Side Custom Built Stationary Compactors: One for Waste and One for Cardboard Recycling. Rear Fed With Enclusure. (Shown without receiving container for better viewing of application.) 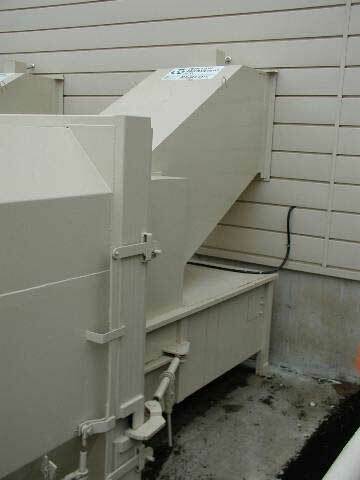 This unit was built right into the building to allow easy disposal of material. This type of application seals the unit to the building and helps with inventory control. It also protects users of the equipment from the elements. Rear Feed Walk on Deck with Safety Rails and Safety Gate. 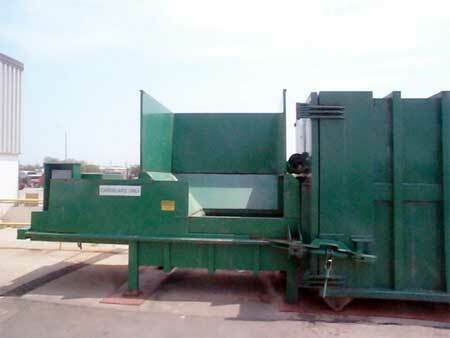 Stationary Compactor, 3 Yard Charge Chamber with Pre-Crushing Unit. 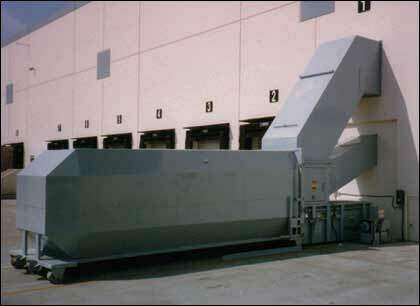 This type of unit is used when pre-crushing or product destruction is required. 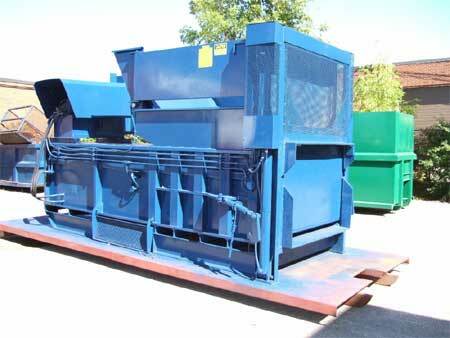 The material is first 'Pre-Crushed' in the Charge Chamber and then it’s compacted into the receiving container. This deeply enhances compaction ratios with bulky or hard to compact materials. Let us solve your challenge. Compaction Plus can design one or multiple units that are both cost effective and user friendly. Please contact us to arrange a site meeting or for a quotation on standard applications. 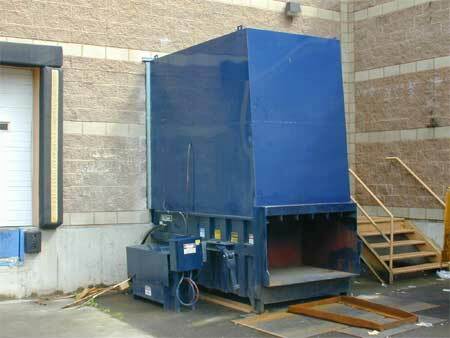 We offer Material Receiving Containers Ranging from 14 to 50 yard capacities.